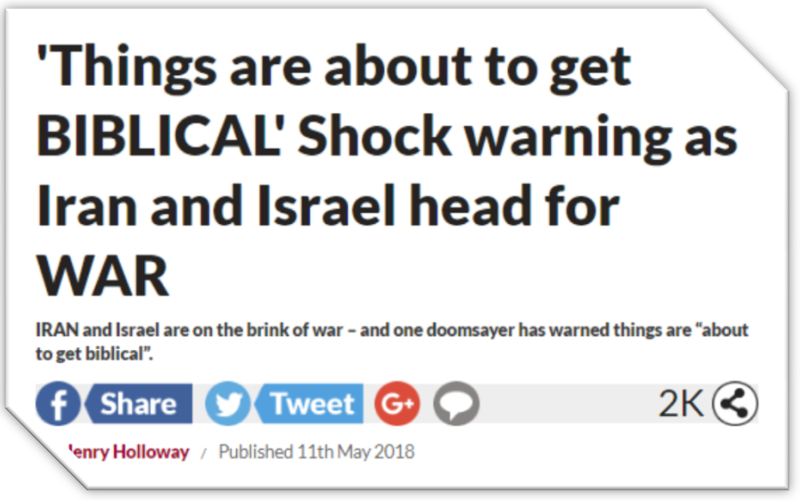 Things Are “About To Get Biblical” in Israel and Iran Says Rabbi | Have Ye Not Read? He said confrontation between Israel and Iran is not a “normal political crisis” but rather “this is a Biblically based, prophetic crisis”. “Rabbi Winston citied a prophecy from the Yalkut Shimoni, a commentary of the Bible penned in the 1200s, which mentions a major war between Israel and Iran. And it says the war will “threaten to destroy the entire world” as the nations “fall on their faces and will experience pains like birth pangs”. Sounds a lot like a war leading up to the deadly wound of Revelation 13, doesn’t it? Of course, there’s a lot of difference between citing the Bible, and citing a 12th century Jewish commentary on the Bible. One is the source of truth. The latter is just men’s opinion. If the Rabbi wants to cite actual Biblical evidence for a great war against Iran in the final days of this flesh earth age, all he had to do is take a good long look at Daniel chapter 8, where the “ram” in Daniel’s vision represents Iran, and the “he goat” represents Iran’s attacker. Followed by the arrival of the “little horn,” i.e., the antichrist himself. The available evidence indicates the “he goat” attacker will indeed be Israel. But because the Scripture doesn’t specifically say so, we simply won’t know until we see the war itself break out. It could just as easily be a coalition of western military forces, led, for example, by the United States, in an attempt to keep Israel out of the fray. It could even be Saudi Arabia — we haven’t been selling them billions of dollars worth of missiles for no good reason since Trump took office. But the great war against Iran will indeed take place in the final days of this flesh earth age, and it will indeed usher in all of the remaining Biblical prophesies of these end days. And that’s what we need to keep our eyeballs peeled for. If you’re unfamiliar with the Biblical events of the final days of this flesh earth age, see the study The 4 Winds and the Deadly Wound.